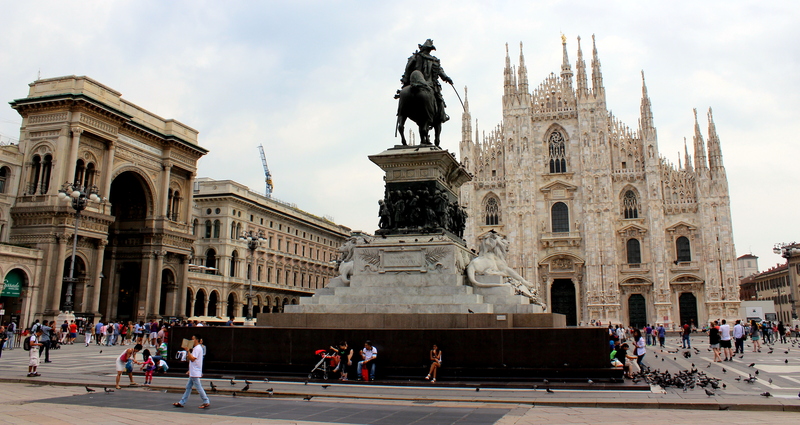 Milan is known for high fashion, shopping, beautiful architecture and of course the Duomo. 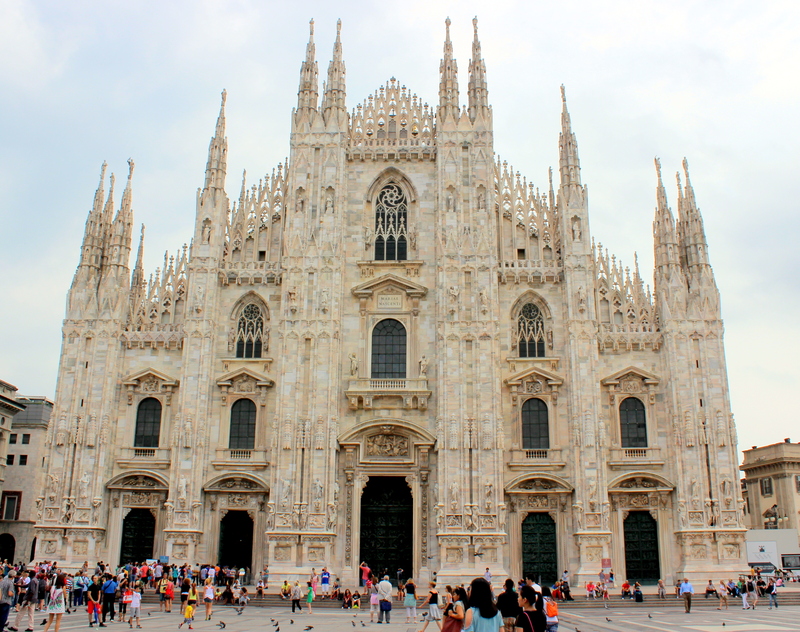 It has a unique gothic structure and is the fifth largest cathedral in the world. No wonder it took six centuries to build! 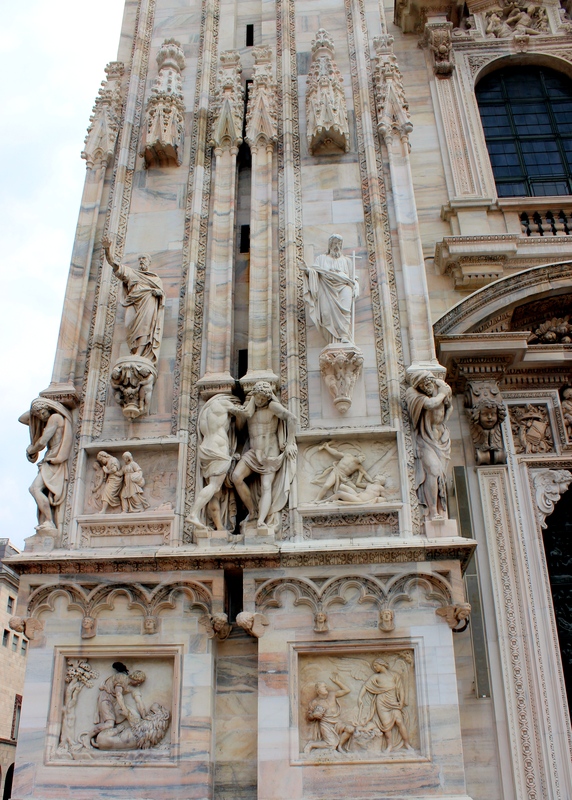 Now it is one of the most popular tourist attractions in Italy. Unfortunately you cant just walk up to it and stroll in. If only things were that easy! Here are some things you need to know for your visit. 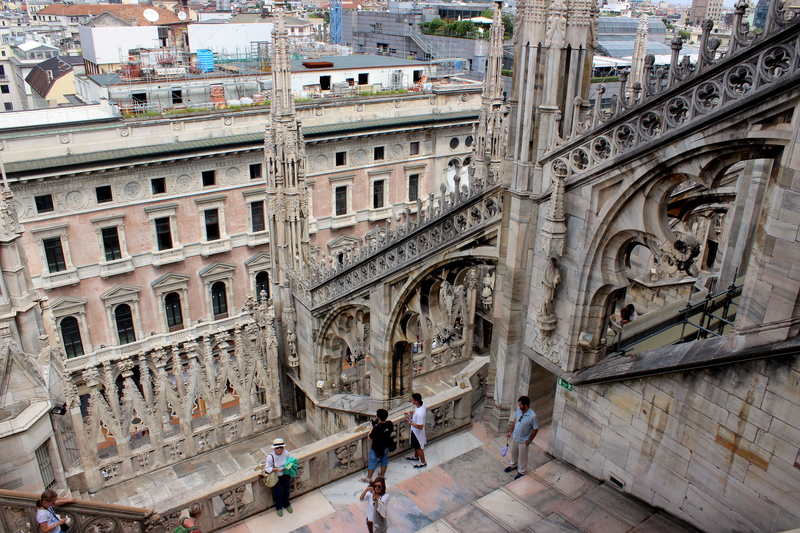 1.You have to pay to get into the cathedral and on the rooftop. 2. 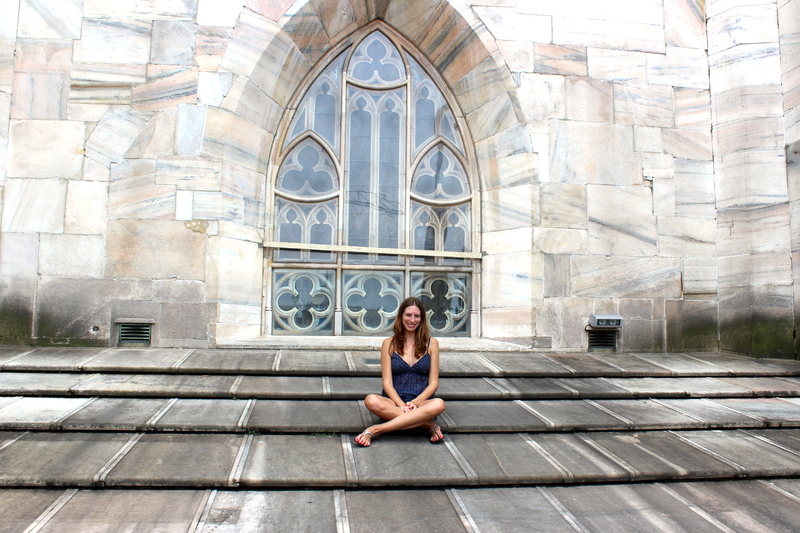 You cannot go into the cathedral unless you are wearing appropriate clothing covering your knees and shoulders. 3. If you decide to go to the rooftop, you do not need to follow a dress code. 4. Wear comfortable shoes if you are planning to go to the rooftop. It is a tiring hike up a pretty intimidating staircase. There is an elevator, however it is small and there is generally a long line of people waiting to get on. 5. There is an area to purchase tickets on the right side of the cathedral that most people don’t realize is there. I went to that booth and waited less than a minute while the other line in the front was a 30 minute wait. 6. If you have your ticket already for the rooftop, you do not have to wait on the line to get in. Most people on that line are buying tickets to get in or are waiting without realizing that they don’t need to. You can walk straight to the entrance, show your ticket and get in right away. 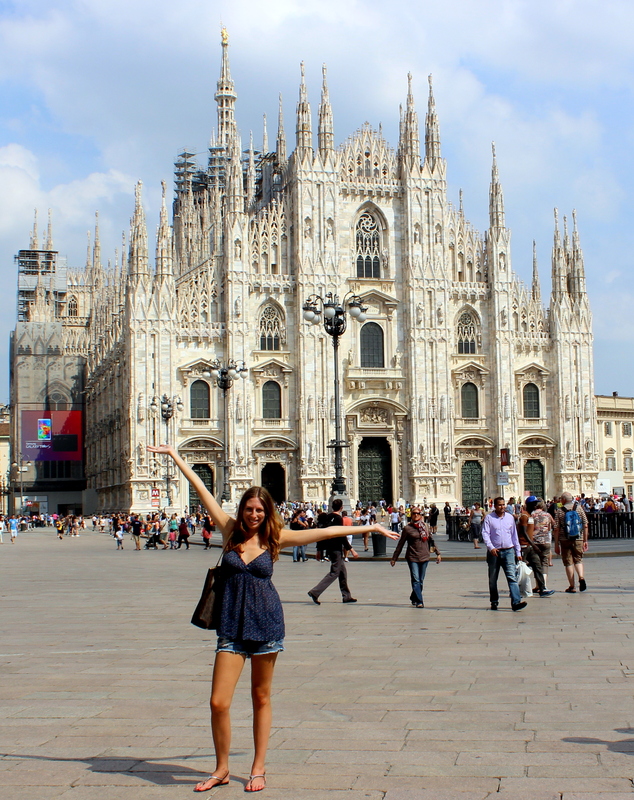 The Duomo of Milan has been on my list for so long! Thank you for the tips, I’ll save them for when I finally get to visit it. Beautiful photos, by the way. 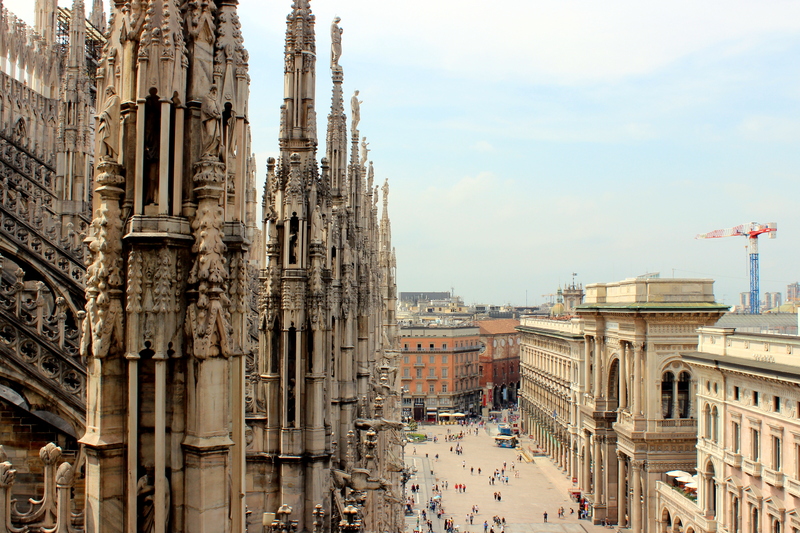 Some extremely useful tips, Milan is on our list for next year, so I’m bookmarking this because i’ll definitely need it then! What an amazing cathedral! 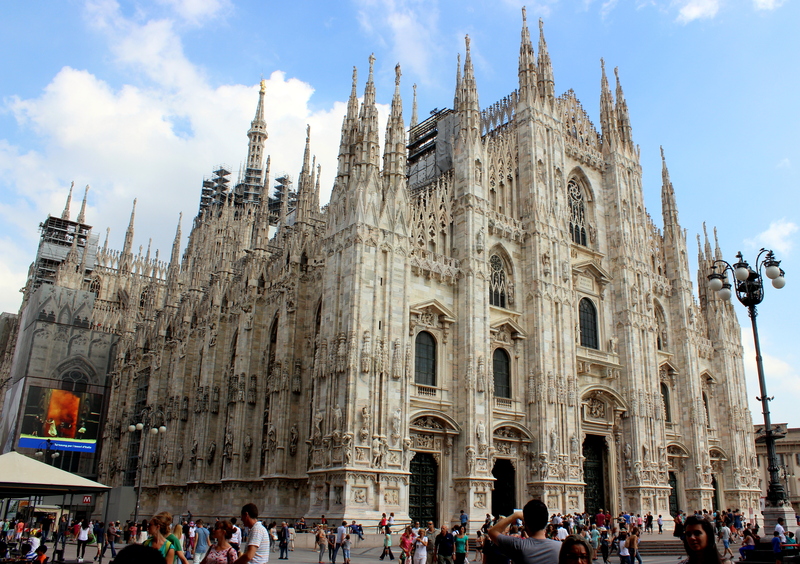 I have visited the major cathedrals in the Vatican and Florence but Milan looks like yet another one that I need to go and visit. Definitely add it to the list! 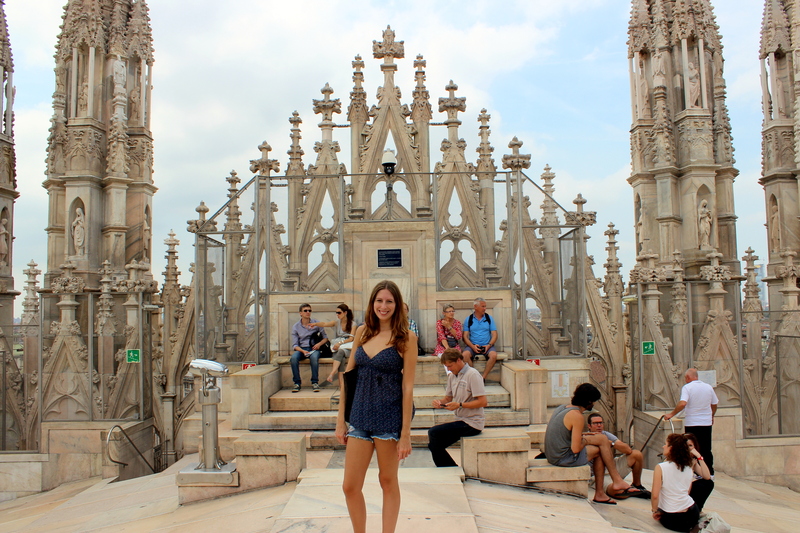 OMG, those are gorgeous photos of Duomo di Milano! I’ll bookmark this page. These photos are unbelievably beautiful ! Amazing pictures!! I would love to visit there one day! A truly incredible place! I can see why it took such a long while to build, it’s brilliant! I was actually there but did not go inside (super busy day) but now I wish I would have…although I am SURE I did not have on proper attire! I couldn’t go in because I didn’t so I just went to the roof. Still beautiful! 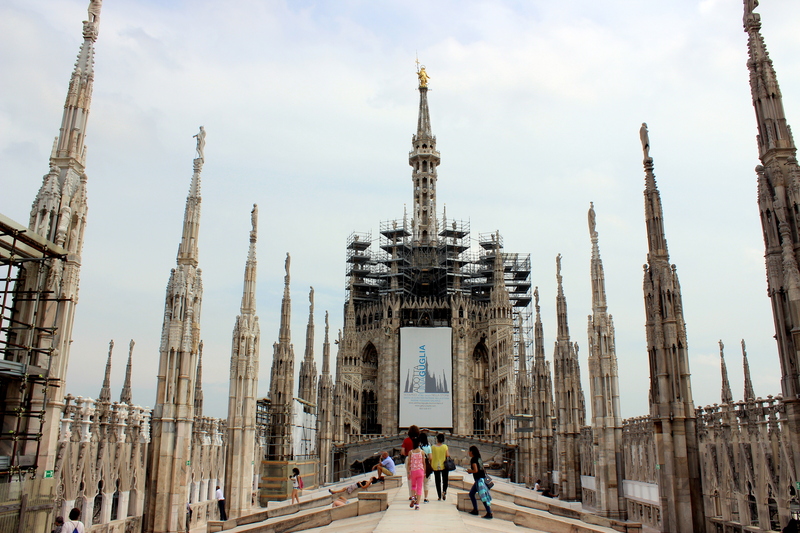 Great Duomo tips Christine, but as a Milan local I feel the need to let you and the blogosphere know that the cathedral is actually free of charge to enter. They may try and direct you to a booth where you’ll be asked to pay a 2 euro photo fee, but the church itself is free to enter. However, you do have to pay when there are concerts, and to enter the Museum or the crypt. Great tip about the second spot to buy tickets! Nothing worse than waiting in line if theres more than one spot! How stunning! Such great tips! 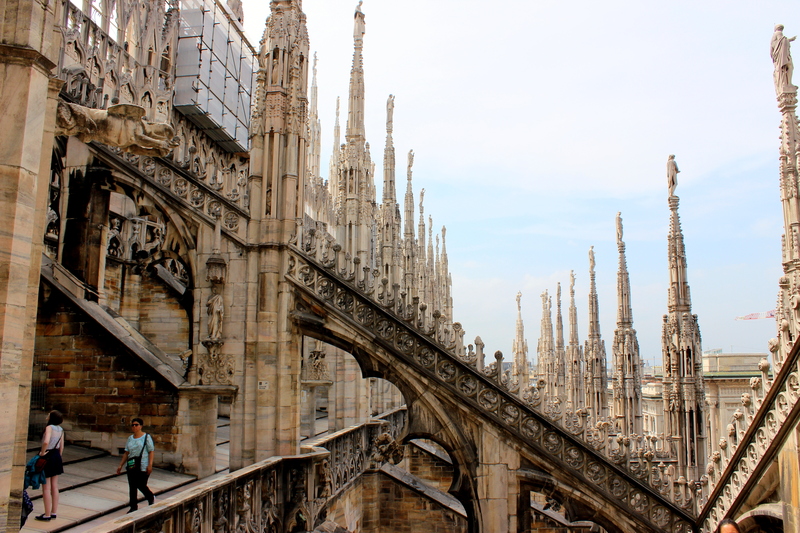 This was my favourite part of our visit to Milan. 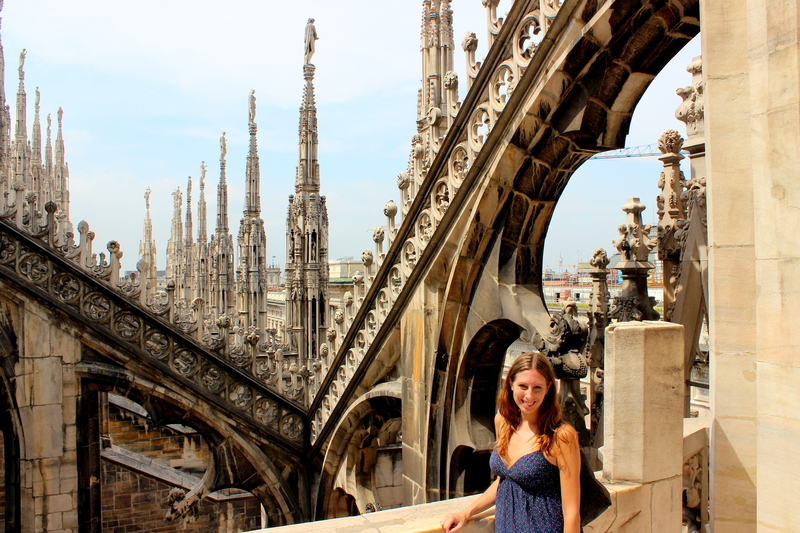 The views from the rooftop are amazing and the architecture had us wandering around for some time in awe at the craftsmanship. What a beautiful place! I love all the well taken photos.